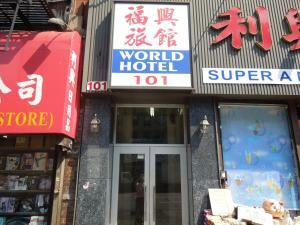 This Manhattan hotel is located in Chinatown and is 1 block from the Grand St. Subway Station and Little Italy. 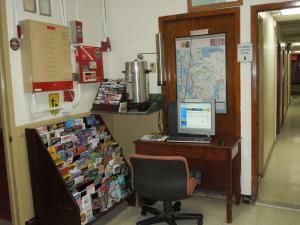 The guest rooms include free Wi-Fi access. Every simple room at the New World Hotel features cable TV. Individual climate control is possible and guests may request a daily newspaper. The hotel offers a 24-hour front desk. Times Square is a 15-minute subway ride from the Hotel New World. It is a 25-minute subway ride from Central Park. 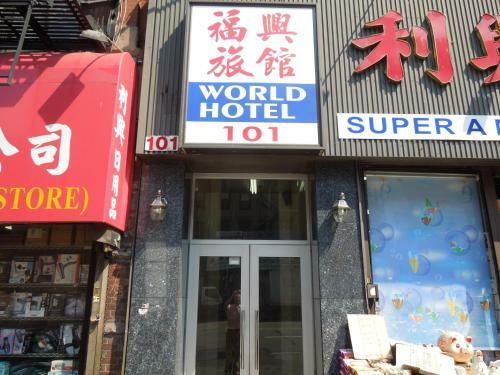 Guests may also visit specialty shops and restaurants located nearby. Upon check-in photo identification and credit card is required. All special requests are subject to availability upon check-in. Special requests cannot be guaranteed and may incur additional charges. Higher floors are accessible by stairway.